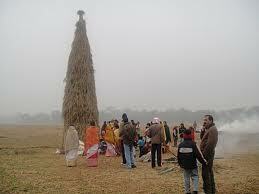 Kati Bihu is Coming on 20 October2013. Kati or Kongali Bihu (mid-October, also called Kati-Bihu) has a different flavour as there is less merriment and the atmosphere has a sense of constrain and solemnity. People worship the deities for a rich harvest; it is dedicated to the worship ofGoddess Lakshmi who is the dispenser of wealth to mortals. Kati Bihu marks the completion of sowing and transplanting of paddies. 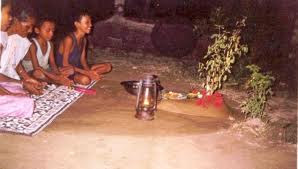 In the evenings, offerings are made to the 'Tulsi' plant. 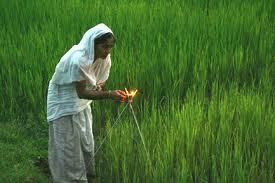 Little earthen lamps ('Diyas') are lighted at its feet and puja's are offered to God for improved yield of crops. The significance of this Bihu is more in the villages, where farmers go to their respective fields and light "Akash-Banti" or 'sky-lamp. 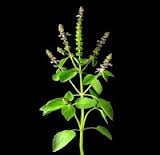 Sacred to the Hindus, the tulsi (basil) tree is planted or pruned in the courtyard of each household and for the whole Assamese month of Kati, people worship the Tulsi plant with an earthen lamp. 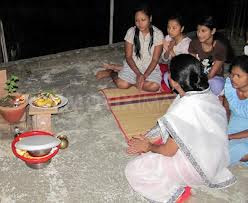 Rongaali Bihu’, the most important Bihu of all the three, is celebrated in the month of Bohaag (middle of April), the first month of the Assamese calendar and thus marks the advent of the Assamese New Year. This Bihu is also known as Rongaali ( ‘Rong’ denoting joy in Assamese) Bihu due to the merriment that predominates the celebrations. This festival also coincides with the advent of the spring season in the state. 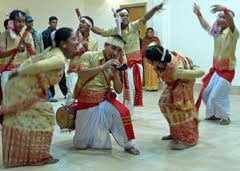 Bihu Dance and Bihu Songs are the main features of this Bihu. 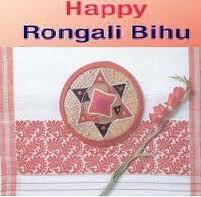 Bohaag Bihu is celebrated over a period of several days. The first day of the Bihu is known as ‘Goru Bihu’ on which day the cows and bulls are given a ritual bath with ‘halodhi’, ‘maah’ with the accompanying song "Lao Kha, Bengena Kha, Bochore Bochore Badhi Ja". It's a time of merriment and feasting and continues, in general, for seven days. 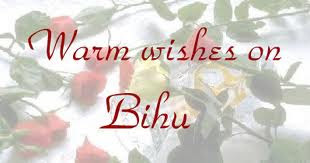 The first day of the Bihu is called Goru Bihu or Cow Bihu, where the cows are washed and worshipped, which falls on the last day of theprevious year, usually on April 14. 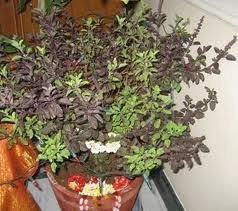 This is followed by Manuh (human) Bihu on April 15, the New Year Day. This is the day of getting cleaned up, wearing new cloths and celebrating and getting ready for the New Year with fresh vigor. The New Year day, the day after the Goru Bihu, is called the Manuh Bihu. 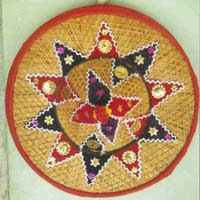 With gifts of Bihuwan (a gamosa), which is traditional Assamese piece of cloth, are gifted to elders a mark of respect. Children are also given new clothes, and Husori singing begins on this day, and people visit their relatives and friend. Village elders move from household to households singing carols, also in the style of Bihu geets, called Husoris. Different Bihu pandals also organize cultural functions, which goes on for four-five days.